Associate Professor Mehmet Kizil is currently the mining engineering program leader in the School of Mechanical and Mining Engineering at The University of Queensland. Mehmet received his bachelor of mining engineering from Dokuz Eylul University in Turkey in 1986. He then went to England to complete his PhD with the University of Nottingham. In 1993, he returned to Turkey where he worked as assistant professor at the University of Dokuz Eylul. 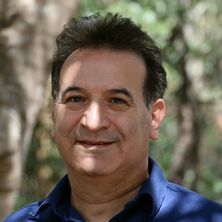 Mehmet joined UQ in 1996 and since then has contributed to the education of more than 500 mining engineering graduates. A national award-winning lecturer, Mehmet’s teaching and learning innovations have been recognised by both students and colleagues achieving numerous School, Faculty and University teaching awards. In 2008 and 2010, he received teaching awards from the Australian Learning and Teaching Council. He has past experience as an Engineering Researcher and Academic in universities around the world, including the United Kingdom, Turkey and Australia. The major aim of this project is to introduce Virtual Reality into real-time site monitoring systems in order to provide interactive and visually accurate, dynamic 3D models of a mine site and its operations. The outcome will greatly improve safety, productivity and mine monitoring. Colorimetric analysis of roadway dust is currently a method for monitoring the incombustible content of mine roadways within Australian underground coal mines. The aim of this research is to develop an alternative approach to roadway dust analysis. The ultimate outcome of this project is a state-of-the-art portable gas analyser, which identifies within a few minutes a range of different coal seam gases and measures their concentrations directly at the point of sampling, coring or extraction. Accidents still happen with great frequency and severity. The SMI-VR research group has been investigating accidents by reconstruction using advanced computer graphics and virtual reality techniques to improve the safety performance of the minerals industry. This way people can then understand: how and why the accident happened; how it could have been prevented; and how injuries or fatalities could have been avoided. Establishing the in situ rock bolt behaviour underground in order to model and design improved rock bolt support systems. Kizil, Mehmet S. (2017) New developments in the Australian mining education. Scientific Mining Journal, 56 1: 33-40. Kizil, Mehmet S. (2017) New developments in the Australian mining education. Madencilik, 56 1: 33-40. Portable rapid gas content measurement - an opportunity for a step change in the coal industry? Beamish, Basil, Kizil, M. S. and Gu, Ming (2013) Portable rapid gas content measurement - an opportunity for a step change in the coal industry?. AusIMM Bulletin, 5: 68-70. Shemshad, J., Aminossadati, S. M. and Kizil, M. S. (2009) Average methane concentration measurement in underground coal mines. Australasian Mine Safety Journal, 2 7: 94-96. Gillies, A. D. S., Kizil, M. S., Wu, H. and Harvey, T. J. (2003) Some approaches to handling hydrogen sulphide in coal seams. Mechanizacja I Automatyzacja, 40-54. Yang, Ben, Aminossadati, Saiied M., Chen, Zhongwei, Kizil, Mehmet S., Gong, Hongkui and Kennedy, Gareth (2018). Experimental investigation of slope tension crack monitoring using fibre optic sensing. In: Slope Stability. XIV Congress International de Energia y Resources Minerales, Seville, Spain, (2285-2292). 10-13 April 2018. Stewart, Craig, Aminossadati, Saiied M., Kizil, Mehmet S. and Andreatidis, Tim (2017). Diurnal thermal flywheel influence on ventilation temperatures in large underground mines. In: The 16th North American Mine Ventilation Symposium, Golden, CO, United States, (9.1-9.8). 17-22 June 2017. Kayis, Cihan and Kizil, Mehmet Siddik (2017). Effects of front abutments around multiple seam mining operations. In: Naj Aziz and Bob Kininmonth, Proceedings of the 2017 Coal Operators' Conference. Coal 2017: Coal Operators' Conference 2017, Wollongong, NSW, Australia, (17-31). 8-10 Feb 2017. Stewart, C. M., Aminossadati, S. M. and Kizil, M. S. (2017). Emergency egress pathway prediction using ventilation models. In: The Australian Mine Ventilation Conference. Australian Mine Ventilation Conference, Brisbane, Australia, (57-62). 28-30 August 2017. Masum, B. M., Aminossadati, S. M., Leonardi, C. R., Kizil, M. S. and Amanzadeh, M. (2017). New generation of gas sensors for underground coal mining applications. In: Australian Mine Ventilation Conference. Australian Mine Ventilation Conference, Brisbane, Australia, (189-195). 28-30 August 2017. Chunshan Zheng, Kizil, Mehmet S., Zhongwei Chen and Aminossadati, Saiied M. (2016). Effects of coal damage on permeability and gas drainage performance. In: Ting Ren and Jialin Xu, Proceedings of the 9th International Symposium on Green Mining. The 9th International Symposium on Green Mining, University of Wollongong, Wollongong, NSW, Australia, (232-236). 27-30 Nov 2016. Danesh, Nima Noraei, Chen, Zhongwei, Pan, Zhejun, Connell, Luke, Aminossadati, Saiied, Bai, Tianhang and Kizil, Mehmet (2016). Experimental study of impact of creep on coal permeability. In: 50th US Rock Mechanics / Geomechanics Symposium 2016 Proceedings. 50th US Rock Mechanics / Geomechanics Symposium, Houston, TX, United States, (112-117). 26-29 June 2016. Stewart, C. M., Aminossadati, S. M. and Kizil, M. S. (2016). Extending mine ventilation sensor coverage with real time model simulation. In: 2016 SME Annual Conference and Expo: The Future for Mining in a Data-Driven World. 2016 SME Annual Conference and Expo: The Future for Mining in a Data-Driven World, Phoenix, AZ United States, (27-31). 21-24 February 2016. Aminossadati, Saiied M., Yang, Ben and Kizil, Mehmet S. (2015). A real-time conveyor monitoring system. In: Fiber-Optic and Photonic Sensors for Industrial and Safety Applications. International Conference on Fiber-Optic and Photonic Sensors for Industrial and Safety Applications, Jinan, Shandong, China, (13-24). 20-23 January 2015. Keen, Sean, Hossack, Alex and Kizil, Mehmet S. (2015). Development and implementation of a geotechnical database management system. In: Naj Aziz and Bob Kininmonth, Proceedings of the 2015 Coal Operators’ Conference. 2015 Coal Operators’ Conference, Wollongong, NSW, Australia, (347-357). 11-13 February 2015. Yang, Ben, Liddell, Ken, Aminossadati, Saiied M. and Kizil, Mehmet S. (2015). Fibre optic based distributed temperature sensing system monitoring of underground coal mine inertisation in Australia. In: Fiber-Optic and Photonic Sensors for Industrial and Safety Applications. International Conference on Fiber-Optic and Photonic Sensors for Industrial and Safety Applications, Jinan, Shandong, China, (25-36). 20-23 January 2015. Aminossadati, Saiied M., Nehring, Micah, Hay, Edward, Kizil, Mehmet, Seib, Warren and Kavanagh, Lydia (2015). First-year student engineers experience authentic practice with industry engagement. In: 26th Annual Conference of the Australasian Association for Engineering Education (AAEE2015). Annual Conference of the Australasian Association for Engineering Education, Geelong, VIC, Australia, (969-979). 6-9 December 2015. Kizil, M. S. (2015). Recent developments in Australian mining education. In: Mehtap Gulsun Kilic, Oznur Onel, Hakan Basarir, Mehmet Karadeniz and Elif Torun Bilgic, Proceedings of the 24th International Mining Congress of Turkey, IMCET 2015. 24th International Mining Congress of Turkey, IMCET 2015, Antalya, Turkey, (93-100). 14-17 April 2015. Gong, Hongkui, Canbulat, Ismet, Kizil, Mehmet S., Mills, Anna and Emery, Jason (2015). Risk-benefit analysis in coal mine roof support design using stochastic modelling technique. In: Naj Aziz and Bob Kininmonth, Proceedings of the 2015 Coal Operators’ Conference. 2015 Coal Operators’ Conference, Wollongong, NSW, Australia, (103-116). 11-13 February 2015. Wedel, Dylan James, Belle, Bharath and Kizil, Mehmet S. (2015). The effectiveness of rapid stone dust compliance testing in underground coal. In: Naj Aziz and Bob Kininmonth, Proceedings of the 2015 Coal Operators’ Conference. 2015 Coal Operators’ Conference, Wollongong, NSW, Australia, (259-270). 11-13 February 2015. Stewart, C. M., Aminossadati, S. M. and Kizil, M. S. (2015). Underground fire rollback simulation in large scale ventilation models. In: The 15th North American Mine Ventilation Symposium 2015. The 15th North American Mine Ventilation Symposium 2015, Blacksburg, Virginia, USA, (). 20-25 June 2015. Stewart, Craig, Aminossadati, Saiied M. and Kizil, Mehmet S. (2015). Use of live sensor data in transient simulations of mine ventilation models. In: Fiber-Optic and Photonic Sensors for Industrial and Safety Applications. International Conference on Fiber-Optic and Photonic Sensors for Industrial and Safety Applications, Jinan, Shandong, China, (3-12). 20-23 January 2015. Aminossadati, Saiied Mostafa, Amanzadeh, Mohammad, Kizil, Mehmet Siddik and Liu, Tongyu (2014). Development and utilisation of fibre optic-based monitoring systems for underground coal mines. In: Naj Aziz, Bob Kininmonth, Jan Nemcik, Dennis Black, John Hoelle and Ismet Cunbulat, Proceedings of the 2014 Coal Operators' Conference. Coal 2014: Australian Coal Operators' Conference 2014, Wollongong, NSW, Australia, (369-380). 12-14 February, 2014. Soofastaei, A., Aminossadati, S. M. and Kizil, M. (2014). Development of an artificial intelligence model to determine trucks energy consumption. In: Book of Abstracts. Energy Future Conference, Sydney, Australia, (178-179). 3-5 November 2014. Lucas, Robert and Kizil, Mehmet Siddiq (2014). Optimisation of waste-dump lift heights for pre-strip operations. In: Naj Aziz, Bob Kininmonth, Jan Nemcik, Dennis Black, John Hoelle and Ismet Cunbulat, Proceedings of the 2014 Coal Operators' Conference. Coal 2014: Australian Coal Operators' Conference 2014, Wollongong, NSW, Australia, (427-436). 12-14 February, 2014. Butel, Nicholas, Hossack, Alex and Kizil, Mehmet S. (2014). Prediction of in situ rock strength using sonic velocity. In: Naj Aziz, Bob Kininmonth, Jan Nemcik, Dennis Black, John Hoelle and Ismet Cunbulat, Proceedings of the 2014 Coal Operators' Conference. Coal 2014: Australian Coal Operators' Conference 2014, Wollongong, NSW, Australia, (89-102). 12-14 February, 2014. Abdalla, Shaima, Kizil, Mehmet S. and Canbulat, Ismet (2013). Development of a method for layout selection using analytical hierarchy process. In: Proceedings of the 2013 Coal Operators' Conference. 2013 Coal Operators Conference, Wollongong, NSW, Australia, (27-37). 14-15 February, 2013. Goves, B., Kizil, M. S. and Seib, W. (2013). Evaluating the performance and productivity of continuous surface miners in iron ore at Christmas Creek Mine. In: Paul Hagan, Mining Education Australia Research Projects Review 2012. Mining Education Australia (MEA) Student Conference, Kalgoorlie, WA, Australia, (25-30). 12 October 2012. Doig, Patrick and Kizil, Mehmet S. (2013). Improvements in truck requirement estimations using detailed haulage analysis. In: Proceedings of the 2013 Coal Operators' Conference. 2013 Coal Operators Conference, Wollongong, NSW, Australia, (368-375). 14-15 February, 2013. Collins, V. and Kizil, M. S. (2013). Maximising production at Brockman 4 by minimizing trick delays at the crusher. In: Paul Hagan, Mining Education Australia Research Projects Review 2012. Mining Education Australia (MEA) Student Conference, Kalgoorlie, WA, Australia, (7-12). 12 October 2012. O'Connor, T., Kizil, M. S. and Belle, B. (2013). Required cooling system capacities for extended longwall panels at a Bowen Basin mine. In: The Australian Mine Ventilation Conference 2013: Proceedings. The Australian Mine Ventilation Conference 2013, Adelaide, SA, Australia, (249-256). 1-3 July, 2013. Nel, Retief and Kizil, Mehmet S. (2013). The economics of extended pre-strip stripping. In: Proceedings of the 2013 Coal Operators' Conference. 2013 Coal Operators Conference, Wollongong, NSW, Australia, (355-367). 14-15 February, 2013. Martin, Kelly, Kizil, Mehmet S. and Canbulat, Ismet (2012). Analysing the effectiveness of the 1750 tonne shields at Moranbah North Mine. In: Naj Aziz, Bob Kininmonth, Jan Nemick and Ting Ren, Proceedings of the 2012 Coal Operators' Conference. 2012 Coal Operators' Conference, Wollongong, NSW, Australia, (32-42). 16-17 February 2012. Shemshad, J., Aminossadati, S. M. and Kizil, M. S. (2012). Characterisation of gas cells used in fibre-optic based methane sensing. In: 2012 Australian Mining Technology Conference proceedings. 2012 Australian Mining Technology Conference, Perth, Western Australia, (). 8-10 October 2012. Danesh, N. N., Aminossadati, S. M., Kizil, M. S. and Prochon, E. (2012). Characterization of an experimental drainage borehole simulator. In: 2012 Australian Mining Technology Conference proceedings. 2012 Australian Mining Technology Conference, Perth, WA., Australia, (163-174). 8 - 10 October 2012. Sheridan, Eoin, Amanzadeh, Mohammad, Aminossadati, Saiied M., Kizil, Mehmet S. and Bowen, Warwick P. (2012). Fibre microfabrication and characterization for gas sensing. In: Imaging and Applied Optics Technical Digest. Optical Sensors, Monterey, CA, United States, (). 24-28 June 2012. Amanzadeh, M., Aminossadati, S. M., Kizil, M. S., Sheridan, E. and Bowen, W. P. (2012). Methane sensing in underground coal mines using a microstructured optical fibre. In: 2012 Australian Mining Technology Conference proceedings. 2012 Australian Mining Technology Conference, Perth, WA, Australia, (141-150). 8 - 10 October 2012. Meyer, Jan, Knight, David, Baldock, Tom, Kizil, Mehmet, O'Moore, Liza and Callaghan, David (2012). Scoping metalearning opportunity in the first three years of engineering. In: Llewellyn Mann and Scott Daniel, AAEE 2012 Conference Proceedings. 23rd Annual Conference of the Australasian Association of Engineering Education (AAEE 2012), Melbourne, Australia, (763-771). 3 - 5 December 2012. Bridges, C., Beaumont, J. and Kizil, M. (2012). Temporary ground support systems for the Airport Link Project, Brisbane. In: N. Phienwej and T. Boonyatee, Proceedings World Tunnel Congress 2012. World Tunnel Congress, Bangkok, Thailand, (756-757). 21-23 May 2012. Knights, Benjamin, Kizil, Mehmet and Seib, Warren (2012). Truck-shovel fleet cycle optimisation using GPS collision avoidance system. In: Proceedings of the 2012 Coal Operators' Conference. 2012 Coal Operators' Conference, Wollongong, Australia, (361-370). 16-17 Feb 2012. Kizil, M. S. and Muller, B. (2011). A numerical approach for pre-feasibility analysis of tailings disposal options. In: E. Y. Baafi, R. J. Kinimonth and I. Porter, 35th APCOM Symposium Proceedings. 35th APCOM Symposium, Wollongong, Australia, (455-463). 24-30 September 2011. Kizil, M. S. and Muller, B. (2011). A numerical approach for prefeasibility analysis of tailings disposal options. In: Proceedings of the 35th APCOM Symposium. 35th APCOM Symposium , Wollongong, NSW, Australia , (455-463). 24-30 September 2011. Erten, O., Kizil, Mehmet S., Beamish, Bevan B. and McAndrew, L. (2011). Assessment of uncertainty in grade-tonnage curves of a multivariate lateritic bauxite deposit through min/max autocorrelation factor transformation. In: Demirel, Nuray, Erdem, Ömer and Erkayaoglu, Mustafa, Proceedings of the 22nd International Mining Congress of Turkey. 22nd International Mining Congress and Exhibition of Turkey-IMCET, Ankara, Turkey, (67-77). 11-13 May 2011. Wiklund, Bronya, Kizil, Mehmet S. and Canbulat, Ismet (2011). Development of a cavity prediction model for longwall mining. In: Aziz, N., Kininmonth, B., Nemcik, J. and Ren, T., Proceedings of the 2011 Underground Coal Operators’ Conference. Underground Coal Operators' Conference, Wollongong, NSW, Australia, (48-59). 10-11 February 2011. Shemshad, J., Aminossadati, S. M. and Kizil, M. (2011). Methane concentration measurement using tunable diode laser in near infrared spectrum. In: Proceedings of the 2011 Australian Mining Technology Conference. 2011 Australian Mining Technology Conference, Noosa, Australia, (36-43). 12-14 September 2011. Kizil, Mehmet S., McAllister, Alex and Pascoe, Robert (2011). Simulation of development in longwall coal mines. In: Naj Aziz, Bob Kininmonth, Jan Nemcik and Ting Ren, Proceedings of the 2011 Underground Coal Operators’ Conference. COAL2011: 11th Underground Coal Operators' Conference, Wollongong, NSW, Australia, (91-98). 10-11 February 2011. Kizil, Mehmet (2010). Improving dragline productivity using a diggability index as an indicator. In: Jurgen Brune, Extracting the science: A century of mining research. 100 Years of Mining Research (in conjunction with 2010 SME Annual Meeting & Exhibit), Phoenix, Arizona, United States, (134-141). 28 February - 3 March 2010. Shemshad, Javad, Aminossadati, Saiied M. and Kizil, Mehmet S. (2010). The effect of temperature, pressure and path-length in spectroscopic detection of methane in near infrared spectrum. In: Paul Lever and Peter Knights, 2010 Australian Mining Technology Conference : "technology changing the mining business footprint". 2010 Australian Mining Technology Conference, Perth, Australia, (57-64). 13-15 September 2010. Javad Shemshad Shadbad, Aminossadati, Saiied M. and Kizil, Mehmet S. (2009). A sequential multipoint fibre optic methane sensing system. In: L. Trajkovic, Wireless and Optical Communications (WOC). 9th IASTED International Conference, Banff, Canada, (6-10). July 2009. Beamish, Bevan B., Kizil, Mehmet S., Willey, K. and Gardner, A. (2009). Monitoring mining engineering undergraduate perceptions of contribution to group project work. In: Dr Colin Kestell, Dr Steven Grainger and Professor John Cheung, Engineering the Curriculum. AAEE Conference 2009, University of Adelaide, South Australia, (317-325). 6-9 December 2009. Javad Shemshad Shadbad, Aminossadati, Saiied M. and Kizil, Mehmet S. (2009). Simulation of methane detection in near infrared spectrum. In: Knights, Peter and Lever, Paul J.A., Technology Solutions for Challenging Financial Times. 2009 Australian Mining Technology Conference, Brisbane, Australia, (146-152). October 2009. Barker, S. and Kizil, M. S. (2009). System Management Approach to Improvement in Longwall. In: Naj Aziz and Jan Nemcik, Improvement in Production and Safety. 9th Underground Coal Operators' Conference, University of Wollongong, Australia, (95-102). 12-13 February 2009. Kizil, M. S. and Hancock, W. (2008). Internet-based remote machinery control. In: S. Saydam, First International Future Mining Conference & Exhibition 2008. First International Future Mining Conference & Exhibition 2008, Sydney, Australia, (151-154). 19-21 November, 2008. Stothard, P., Squelch, A., van Wyk, E., Schofield, D., Fowle, K., Caris, C., Kizil, M.S. and Schmid, M. (2008). Taxonomy of interactive computer-based visualisation systems and content for the mining industry: Part One. In: S. Saydam, Proceedings of the First International Future Mining Conference 2008. First International Future Mining Conference & Exhibition 2008, Sydney, Australia, (201-210). 19-21 November, 2008. Kizil, M.S. (2007). Virtual Reality - A toy or a new way of training. In: Karpuz, C., Hindistan, M.A. and Tercan, A.E., Proceedings of 20th International Mining Congress of Turkey. IMCET2007, Turkey, (247-255). 6-8 June 2007. Hancock, M. G., Kizil, M. S. and Beamish, B. B. (2005). Computer animation of hot spot development in bulk coal as an aid for training coal miners. In: Coal 2005 : 6th Australasian coal operators' conference ; [moving technology - maintaining competence] ; [proceedings]. Coal 2005: 6th Australasian Coal Operators’ Conference, Brisbane, Australia, (243-248). 26-28 April 2005. Kizil, M. S., Hancock, M. G., Phillips, J D A and Beamish, B. B. (2005). Visualisation of hot spot development in bulk coal. In: H Gurgenci, M Hood, P Lever and P Knights, 2005 Australian Mining Technology Conference - New Technologies to Produce More with Less. Proceedings of the 2005 Australian Mining Technology Conference, Freemantle, Western Australia, (297-305). 27-28 September 2005. Kizil, M. S. (2004). Applications of virtual reality in the minerals industry. In: Infomina 2004. Infomina 2004, Peru, (1-9). September 2004. Kizil, M. S., Kerridge, A. P. and Hancock, M. G. (2004). Use of virtual reality in mining education and training. In: H. Gurgenci, A. Hall, D. Howarth, P. Lever, T. Meyer and E. Nebot, Proceedings of the 2004 CRCMining Research and Effective Technology Transfer Conference. CRCMining Conference, Noosa Head, Queensland, Australia, (1-7). 15-16 June 2004. Kerridge, A. P., Hancock, M. G. and Kizil, M. S. (2004). Ventilation simulations of the University of Queensland ExperimentalMine using virtual reality. In: JKMRC International Student Conference 2004. JKMRC International Student Conference 2004, Brisbane, Australia, (1-10). 6-7 September 2004. Kerridge, A. P., Kizil, M. S. and Howarth, D. F. (2003). Use of virtual reality in mining education. In: The AusIMM Young Leader's Conference. The AusIMM Young Leader's Conference, Brisbane, Australia, (1-5). 30 April - 1 May 2003. Kizil, M. S. (2003). Virtual reality applications in Australian minerals industry. In: F. A. Camisani-Calzolari, 31st International Symposium on Application of Computers and Operations Research in the Minerals Industries. APCOM 2003, Cape Town, South Africa, (569-574). 14-16 May, 2003. Kizil, M. S. (2003). Visualising the future in mining with virtual reality. In: NSW Minerals Council, Environmental Workshop, Change for the Better. NSW Minerals Council, Environmental Workshop, Change for the r, Mudgee, NSW, Australia, (1-6). 2 - 4 July 2003. Peterson, J. and Kizil, M. S. (2001). Colorimetric and density analysis of roadway dust. In: , , (21-25). .
Peterson, J and Kizil, M. S. (2001). Colorimetric and density analysis of roadway dust. In: AusIMM Youth Congress. AusIMM Youth Congress, Brisbane, (21-26). 2-6 May 2001. Kizil, M. S., Gillies, A.D.S. and Wu, H. (2001). Development of a portable gas analyser. In: Unal and E., 17th International Mining Congress and Exhibition of Turkey. 17th International Mining Congress and Exhibition of Turkey, Ankara, Turkey, (807-813). 19-22 June 2001. Gillies, A.D.S. and Kizil, M. S. (2001). Improved ventilation and use of respirators to allow safe mining during release of coal seam hydrogen sulphide. In: Prof D C Panigrahi, Mine Environment and Ventilation Symposium. Mine Environment & Ventilation Symposium, Dhanbad, India, (7-17). 11-12 Dec 2001. Gillies, A.D.S., Mayes, T., Wu, H., Kizil, M. S. and Wang, N. (2001). The development of a real time airflow monitoring and control system. In: Prof D C Panigrahi, Mine Environment and Ventilation Symposium. Mine Environment and Ventilation Symposium, Dhanbad, India, (255-264). 11-12 December 2000. Kizil, M. S., Hancock, M. G. and Edmunds, O. (2001). Virtual reality as a training tool. In: AusIMM Youth Congress. AusIMM Youth Congress, Brisbane, (9-12). 2-6 May 2001. What can virtual reality do for safety? Kizil, M. S. and Joy, J. T. (2001). What can virtual reality do for safety?. In: Queensland Mining Industry Health and Safety Conference. Managing Safety to Have a Future, Townsville, (173-181). 26-29 Aug 2001. Gillies, A.D.S., Wu, H., Kizil, M. S. and Harvey, T. (2000). The mining challenge of handling coal seam hydrogen sulphide. In: Proceedings of Queensland Mining Industry Health and Safety Conference 2000 - A new era in mine health and safety management. Queensland Mining Industry Health & Safety Conference 2000, Townsville, Australia, (373-385). 27-30 August 2000. Gillies, A. D. S., Kizil, M. S., Wu, Hsin Wei and Harvey, T. J. M. (1999). The Modelling of the occurrence of hydrogen sulphide in coal seams. In: Jerry C. Tien, Proceedings of the 8th US Mine Ventilation Symposium. 8th US Mine Ventilation Symposium, Rolla, Missouri, USA, (709-720). 11-17 June 1999.